Photo of the Week.. Leo, the Lion, was Jupiter's home for 2004, the bright planet unmistakable. Astronomy news for the week starting Friday, April 23, 2004. The Moon grows during the week. It starts at waxing crescent, passes through first quarter on Tuesday the 27th near the time of Moonrise, and then continues through waxing gibbous, when we see the lunar disk facing us more than half lit. The Moon then takes a bead on the bright planets. The early evening of Friday the 23rd finds our companion almost directly above Mars and up and to the left of wonderfully bright Venus, as these three with Elnath (Beta Tauri) make a delightful quartet. On the following night, Saturday the 24th, the Moon will then pass several degrees to the north (on the sky to the right) of Saturn , which continues to hang out in southern Gemini not far from the Summer Solstice. Keep going through the week to the night of Thursday the 29th, and watch the Moon pass a few degrees to the north of Jupiter in southern Leo. As an aside, just a few hours after the Moon passes Mars, it (the Moon) goes through apogee, where it is farthest from the Earth. For months now, Mars has been moving to the east against the stars, but so has Venus, enough nearly to overtake the red planet. But it does not quite get there. On the night of Sunday the 25th, the two will approach to within just under six degrees of each other, not quite coming into formal conjunction, whereupon Venus begins to fall behind as it more quickly falls back toward the Sun. The close approach will take place in northern Taurus with the nearly quarter Moon shining to the east of Saturn high in northern Gemini and rather well to the north of the ecliptic (the result of the five degree tilt of the lunar orbit). As twilight ends, the eastern end of Argo, the Ship, well down and to the left of Sirius, crosses the meridian and begins to sail away to the west, appropriate since this portion of Argo is the formal constellation of Vela, the Sails. 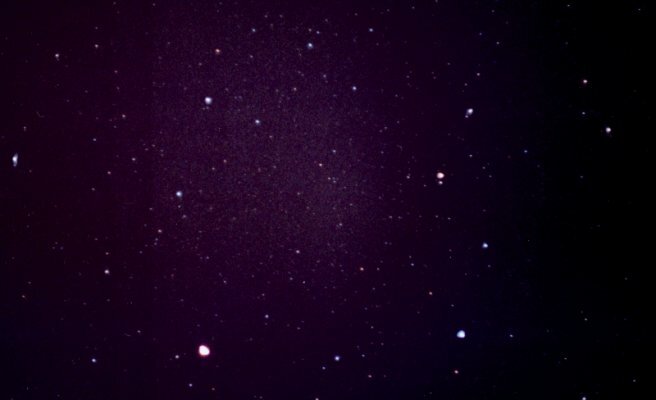 To the south of it, and mostly out of view of northerners is sprawling Carina, the Keel of the Ship, which holds the second brightest star of the sky, Canopus. While the top three brightest stars (Sirius, Canopus, and Alpha Centauri) are all in the sky's southern hemisphere, the next three are all in the northern: Arcturus (of Bootes), Vega (in Lyra), and Capella (in Auriga). And while orange Arcturus, one of spring's great sights, is now seen rising in the east after sundown, Capella (the most northerly of the first magnitude stars) disappears into the northwest. Vega, following Arcturus by about four hours, calls out the coming of summer.